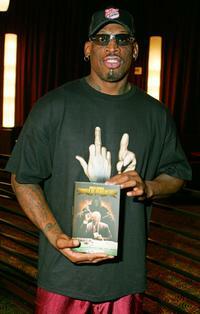 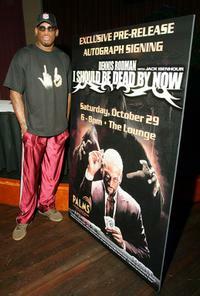 Dennis Rodman at the signing of "I Should Be Dead By Now." 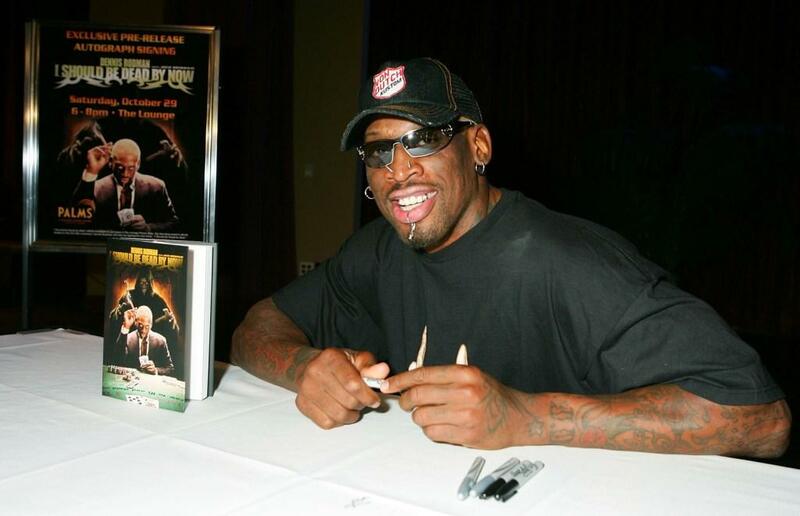 Wendy Aaron and Dennis Rodman at the signing of "I Should Be Dead By Now." 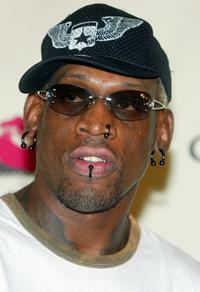 Brooke Hogan and Dennis Rodman at the release party of Brooke's new album "Undiscovered." 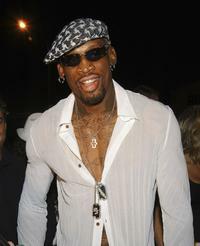 Dennis Rodman at the Genetic Denim's one-year anniversary. 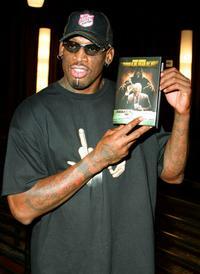 Dennis Rodman, Brooke Hogan and Hulk Hogan at the release party of Brooke's new album "Undiscovered." 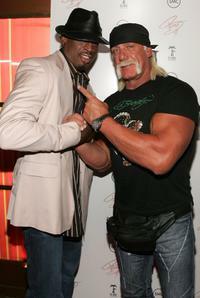 Dennis Rodman and Hulk Hogan at the release party of Brooke's new album "Undiscovered." 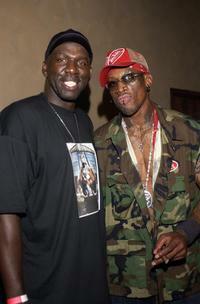 Olden Polyniece and Dennis Rodman at the 43rd Birthday party at Highlands. 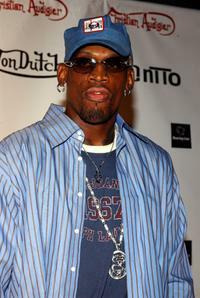 Dennis Rodman at the 11th Annual "Race to Erase MS."
Dennis Rodman at the unveiling of New Peta Ad during the Fashion Week. 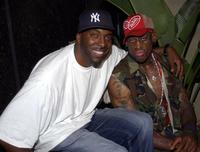 John Salley and Dennis Rodman at the 43rd Birthday party in the VIP room at Highlands. 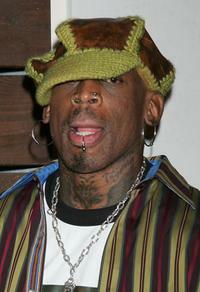 Dennis Rodman at the 43rd Birthday party in the VIP room at Highlands. 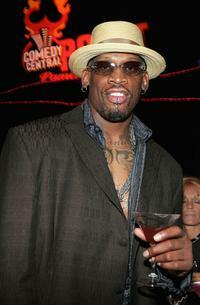 Dennis Rodman at the Comedy Central Roast of Pamela Anderson after party. 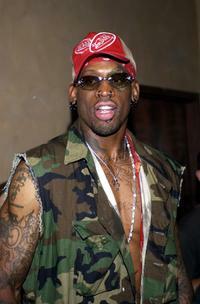 Dennis Rodman at the Von Dutch Originals head designer Christian Audigier's birthday celebration. 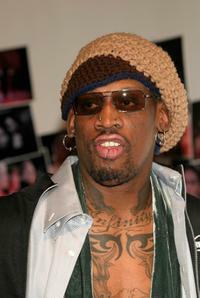 Dennis Rodman at the Vince Neil live concert at Crobar.